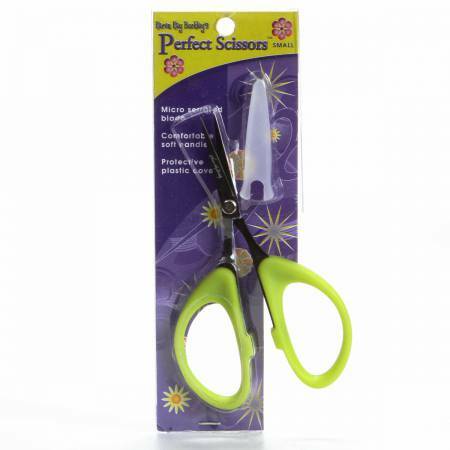 Perfect Scissors Comfortable Soft Green Handles4 in Micro Serrated Blade. Helps To Prevent FrayedEdges. Protective Plastic Cover.